The Sumac Centre bar plays an important role at the Sumac – it helps to make peoples kitchen, gigs and other fund raisers more complete, is available on request to be open any day of the week for one-off events and aims to be a safe place where people can relax and have a drink. 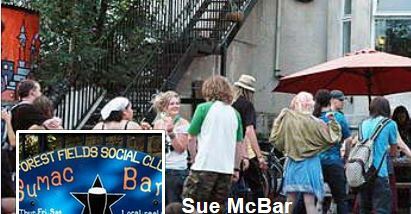 Furthermore the bar helps to keep the Sumac open as all profits are paid to the Centre. The Bar is run by volunteers and your help is welcome, either by joining the bar group, or simply by being a responsible drinker & helping to keep the bar as you would like to find it. Friday openings are subject to volunteers being available. Check the facebook page or join the bar group yourself.